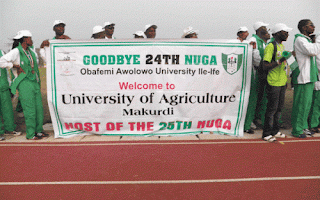 The Nigerian University Games Association (NUGA), kicked off its 25th edition (hosted by the University of Agriculture, Makurdi) with an opening ceremony on Saturday, April 22, 2017, at the Federal University of Agriculture, Makurdi. 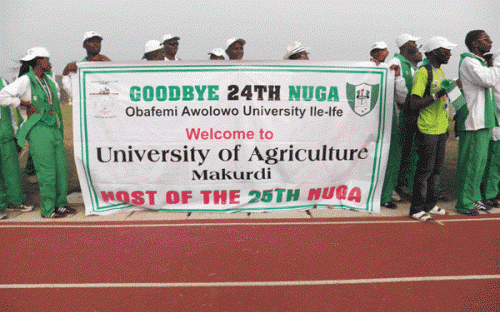 The event was spiced with an amazing march past from participants of different universities. In fact, it was really colourful as fifty out of the expected fifty three universities participated in the opening march past of the ceremony. One of such participants is a contingent of the Niger Delta University, Wilberforce Island, Bayelsa State. 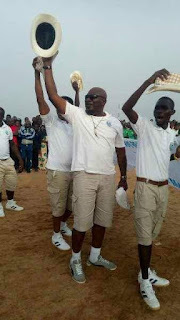 Clothed with black T-shirts with the inscription "From NDU 2d World", a contingent of this institution (NDU) was seen in high spirit and immersed in gyration as they march past dignitaries and other participants. 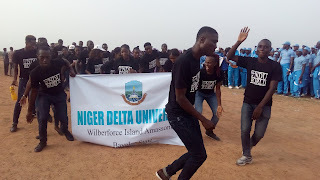 According to one of the gyration kings, the T-shirts were produced by Sylvester Chisom a.k.a MC Monica, to showcase to the world the skills, morals and educational values the Niger Delta University has inculcated in her students; hence the need for putting on the T-shirt. 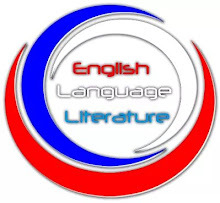 Team NDU will be competing for honours against other Universities in some of the 15 sports: Athletics, Basketball, Chess, Football, Judo, Table-tennis, Volleyball, Scrabble, Squash, Swimming, Taekwondo, Handball, Cricket, Badminton and Tennis. The 25th edition of the NUGA Games which was earlier scheduled to hold on Wednesday, April 19, kicked off on Saturday, April 22 and will be ending on Sunday, April 30, 2017. 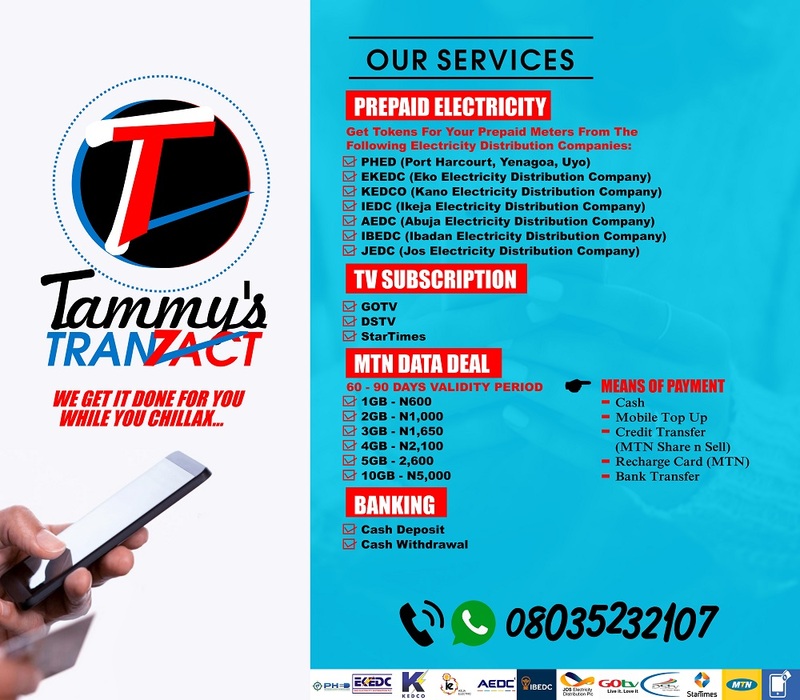 The Games are holding in five venues across Makurdi, Benue State. Hope it was a happy day for these people. I enjoy reading these stories. I really do.